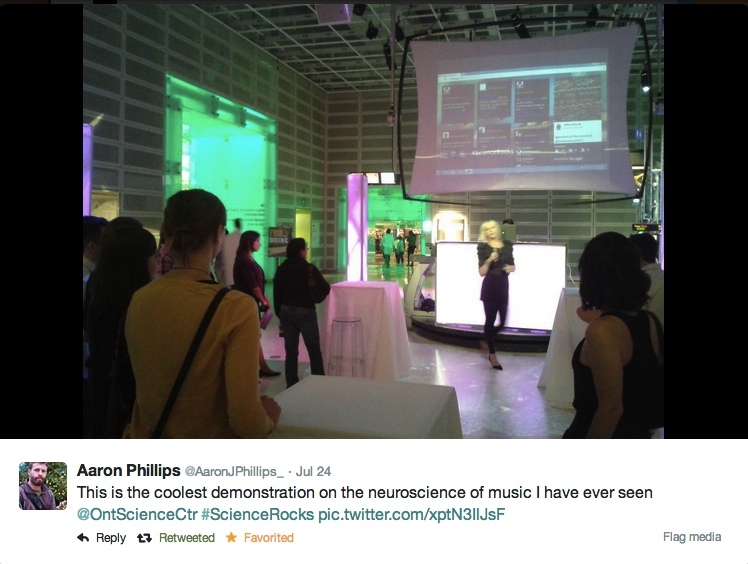 Stefanie Hutka as invited Guest Neuroscientist at the Ontario Science Centre's ScienceROCKS! : The Science of Rock and Roll event. Stefanie Hutka as invited Guest Neuroscientist at the Ontario Science Centre's SciFri event, for youth aged 14 to 19. 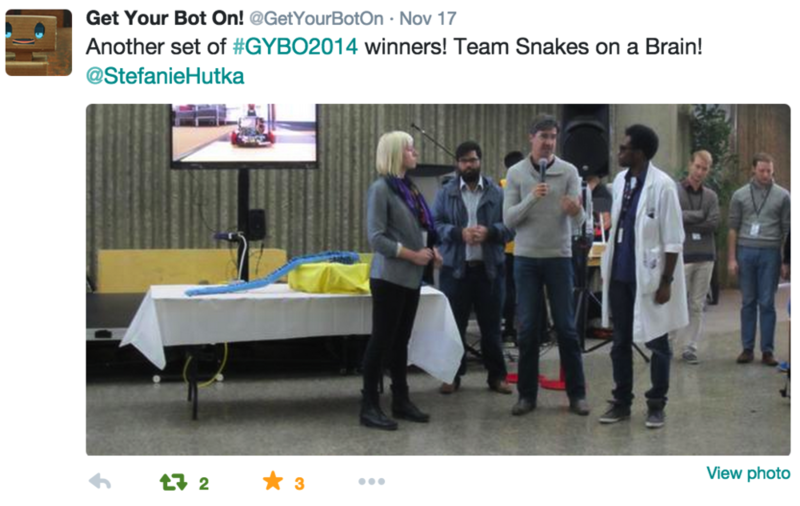 Get Your Bot On robotics hackathon competition: Stefanie Hutka was part of the 2014 winning team, "Snakes on a Brain". This robot was inspired by melodic intonation therapy, which combines singing and rhythm to rehabilitate speech function following stroke. Stefanie Hutka is interviewed about Music Education No ‘Frill’ article for The Whole Note magazine.